The Fiber 35 Diet is based on scientific research which establishes that reducing caloric intake is the only way to successfully lose weight and keep it off for life. Diets are known for telling dieters that they must eliminate certain foods from their lives if they want to lose weight. Whether it is sugar, fat, or carbs, if you've tried a diet like this, you may have taken off the weight, but did you keep it off? And during the process you fought cravings and low energy. The Fiber 35 Diet includes a remarkable nutrient to help eliminate both of these problems. It's fiber. Including fiber from fruits, veggies, whole grains, seeds and other plants in the diet provides numerous benefits including the fact that fiber-rich fruits and vegetables offer necessary disease-fighting phytonutrients, which fight free radicals that can damage cells. 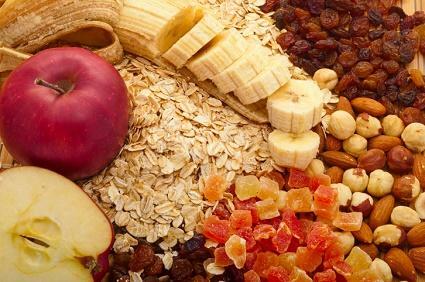 This diet points out that there are two kinds of fiber and both need to be incorporated in a healthy diet. Insoluble fiber doesn't dissolve in water, and moves through the digestive tract where it works like a broom to sweep the colon of debris and removes toxins from the intestinal wall. The Fiber 35 Diet recommends 65 percent of your diet consist of insoluble fiber. Including fiber in the diet stimulates overall good health. The Fiber 35 Diet's research shows that incorporating fiber increases cholecystokinin. This hormone assists digestion in the small intestine, and as a bonus leaves the dieter feeling satisfied and full. This curbs the appetite and as a result reduces the amount of calories taken in. Not only that, but a high-fiber diet tends to eliminate more calories in the stool too because fiber aids in blocking the absorption of calories. Hormones and stress and how they can contribute to weight gain. The truth about carbohydrates and why they are an essential part of a healthy diet. Cleansing and detoxification and how it can jumpstart weight loss. Along with this information, the book doesn't leave you on your own when it comes to actually preparing meals. It offers a how to for preparing healthful, tasty high-fiber meals. As with any healthy diet, the Fiber 35 Diet stresses the importance of exercise to maximize weight loss, and if you buy the book, it includes a total strength and cardio training program that compliments the diet for total fitness.